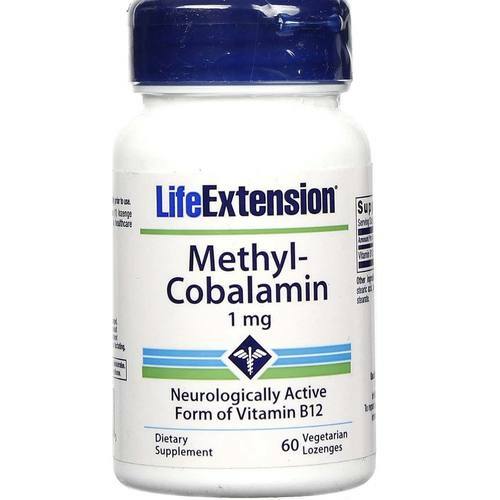 Life Extensions offers 1 mg of Methylcobalamin with natural vanilla flavor. Warnings: Keep out of reach of children. Do not exceed recommended dose. When using nutritional supplements, please consult with your physician if you are undergoing treatment for a medical condition or if you are pregnant or lactating. Notes: Store tightly closed in a cool, dry place. Recommended Use: Read the entire label and follow the directions carefully prior to use. Dissolve in mouth or chew one (1) lozenge 1 to 8 times daily, or as recommended by a healthcare practitioner.